Although the coconut shrimp was fantastic, the dipping sauce (which I pulled from another recipe) was my least favorite item on the menu. It consisted of 1/2 cup orange marmalade, 2 tsp stone ground mustard, and 1 tsp horseradish. I didn’t care for the overall taste, so I added salt and sriracha to cut down the bitter sweetness. It helped, but I recommend going with a sauce that you know you like! The blackened tuna was so good that we made it again about a week later. We bought the tuna from Marukai Japanese Food Specialty Store, which is where we get a lot of our fresh fish. But the best part of this dinner was the banana cake. WOW! 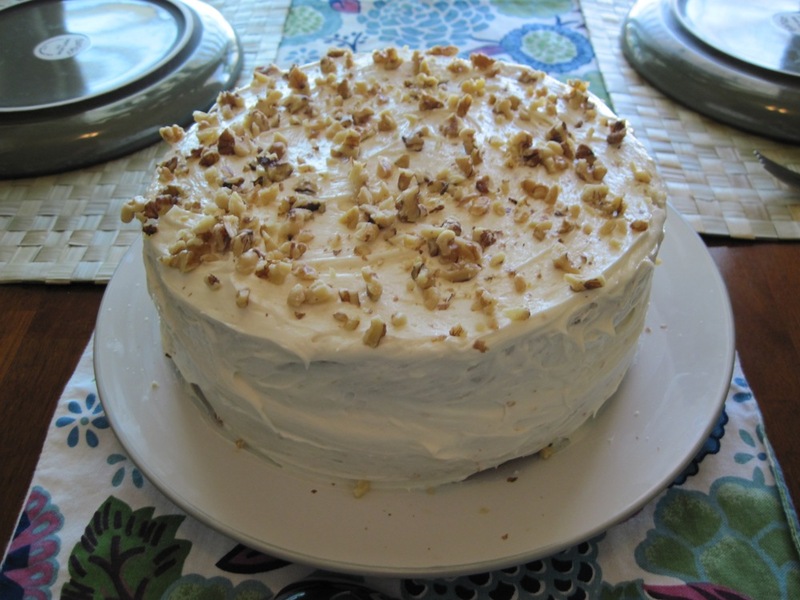 My husband started early in the morning on the recipe so that the cake was cooled and settled in plenty of time for our guests. It was definitely one of my favorite desserts we’ve made. It was fluffier and more moist than banana bread. If you like cake, MAKE THIS RECIPE! You will not be disappointed! 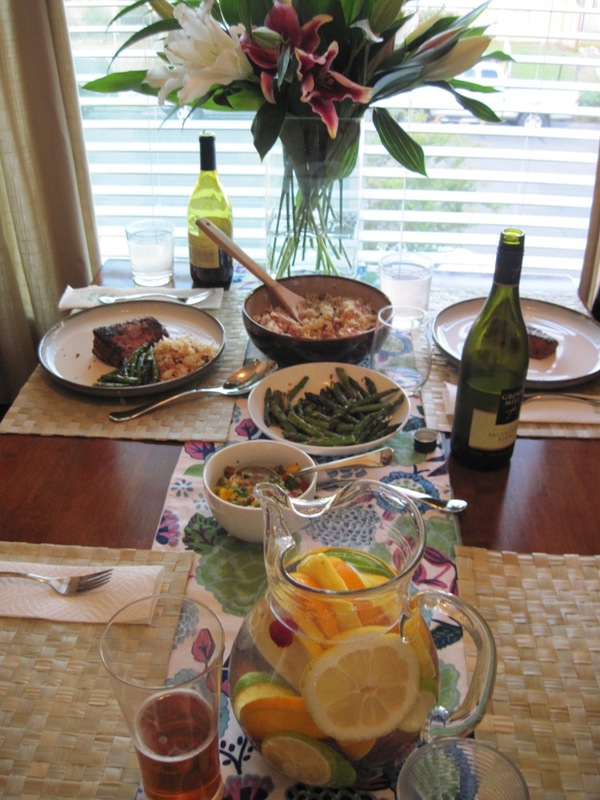 This entry was posted in Dinner Club, Recipes and tagged Banana Cake, Blackened Tuna, Coconut, Hawaii, Hawaiian Food, Hawaiian Menu, Japanese, Mango, Sauvignon Blanc, Shrimp, Summer. Bookmark the permalink.